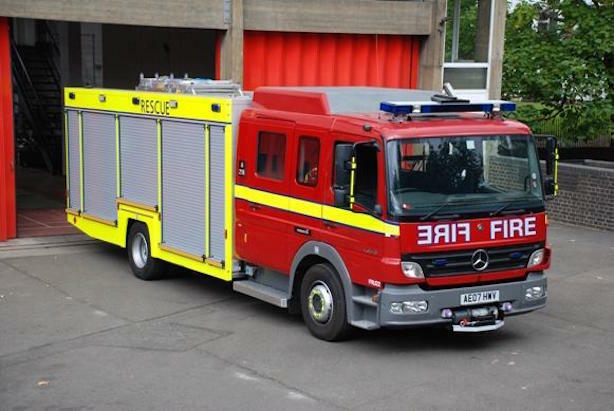 The London Fire Brigade admitted to making a social media faux-pas over the weekend when an attempt to send out a humorous tweet backfired. Under standard protocol, a member of the comms team tweeted about a fire at a pop-up restaurant on Great Eastern Street, linking the public to a statement with more information. However, an attempt to make a joke out of the situation using the word 'hipsters' led to backlash on social media. While some were able to see the comment as lighthearted, the majority felt that the tweet was in poor taste given the severity of the fire and the impact it would have on people’s livelihood. A total of six fire engines and 35 firefighters and officers were needed at the scene, but there were no casualties. @DucknRoll_CG that's not their point though. They talk about hipsters, not business. Where is the offence? @_Meredinho The pictures are of the businesses in ruins. My mates have lost thousands which is why I've had a sense of humour failure. @LondonFire pretty poor taste, this tweet. People's livelihoods affected here. The London Fire Brigade has been using social media for five years and has amassed 100,000 followers. Social media is one of the main tools it uses to disseminate information to the public and the incident shows the dangers, even when attempting to perform a public service. A London Fire Brigade spokesperson reiterated the apology to PRWeek: "We’re sorry for any offence caused by our tweet about the fire in Shoreditch. "We’re always looking at engaging ways to inform the public and give life-saving fire safety advice but on this occasion we fell short and quickly apologised. We hope businesses affected by the fire are back on their feet soon."